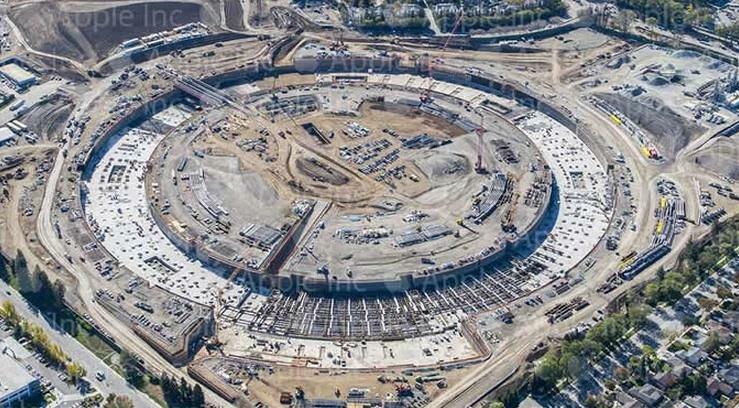 Last time we checked on Apple’s spaceship-shaped campus it was still just a hole in the ground, or to be specific it was more of a sunken ring with a raised circle at the middle. Now, a few months later, construction is really starting to take off, though the building still won’t be finished until at least late 2016. 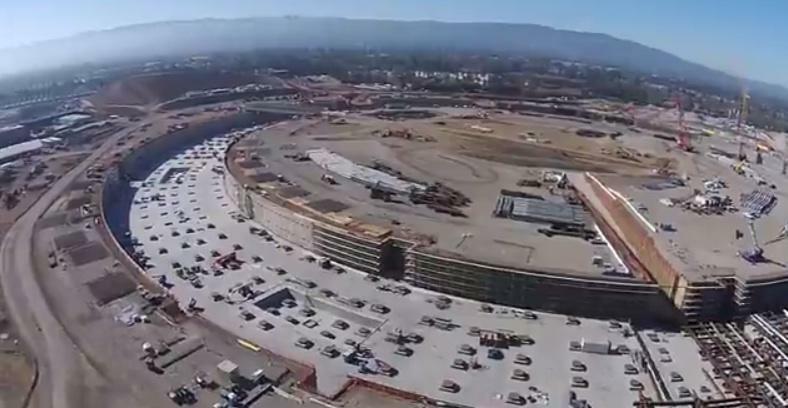 A new aerial photo released by Apple this week shows that foundation work has already begun on its future headquarters. The company also offers up its latest project schedule, confirming that demolition, street utility work and earthwork are still wrapping up. 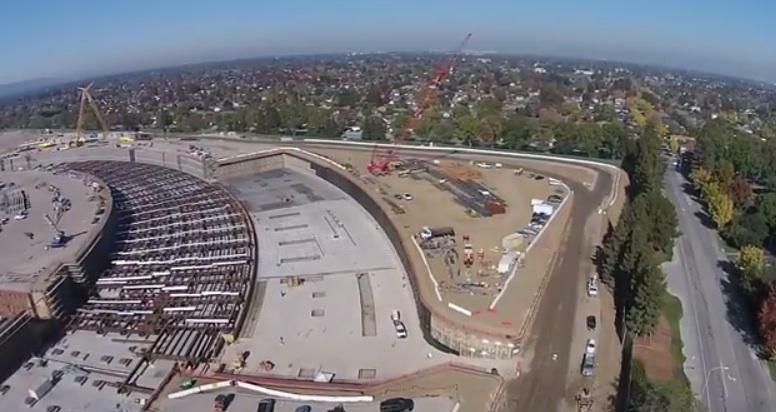 As a bonus, we also have new drone footage, which includes some pretty awesome sweeping shots of the construction site. 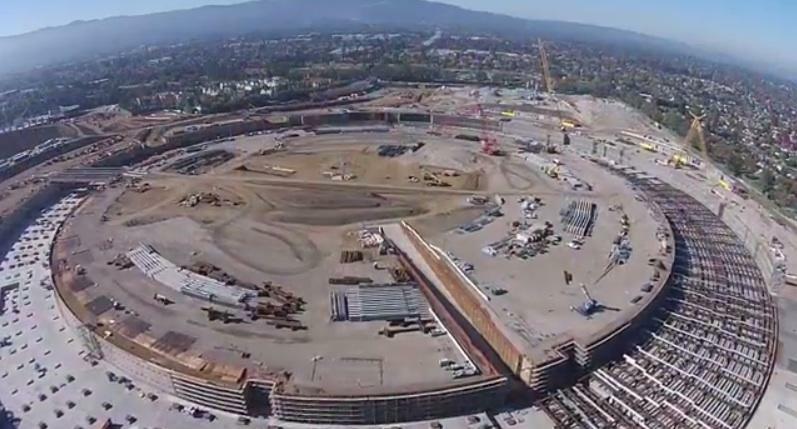 Designed by Steve Jobs before his death, Apple’s future campus will be comprised of a giant continuous ring with massive glass window panes and a huge open green space in the middle. Based on renderings, the inside of the building will resemble an Apple Store, full of sleek white structures and wooden tables and chairs. We can’t wait to see this design come to life.